For Septic Pumping, Call All About Plumbing & Septic Today! If you have a septic system, you know it’s an incredibly important plumbing system for your home or business. While they are very important, the maintenance for them can sometimes take a back seat. This is pretty common due to the fact that it’s underground, so we don’t really think twice about it. However, maintenance is so important for our septic system and needs to be done every three or five years. But there are a few factors that determine how often it should be maintained, which is the number of people in your home or business, how much wastewater is created, and how many solids are in the wastewater. If you aren’t sure if you need septic tank service, but you have a lot of people who live at your home or work at your business, call All About Plumbing & Septic today. At All About Plumbing & Septic we are able to provide our clients with septic pumping for homeowners and business owners in Mills River, Hendersonville, and Asheville, NC. Septic pumping services include removing liquids, solids, and sludge from the septic system. Having your septic system pumped is going to save you money, keep you safe, as well as extend the life of the septic system. If it has been more than three or five years since you last had your septic system pumped, please call us at 828-778-2423 to set up an appointment today. The purpose of the septic system is to treat human waste. The system separates solids from the wastewater, and the solids stay within the tank. Because of the materials that this tank holds and treats, it needs to be safe and sanitary for your home or business. 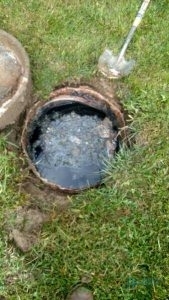 When a septic system isn’t too full and has had proper maintenance, then it shouldn’t smell at all; when a septic system is full, it can smell awful and cause some issues. Some of the problems you will run into with a full septic system is that the sludge and scum buildup over time, which can then cause a backup in the sewer line. A full septic system can create clogs in various plumbing systems and might cause wastewater and sewage to overflow. Don’t Wait! Get Septic Pumping Before Your Septic System is Too Full. Another thing that can happen is that bacteria can contaminate your home or business’s soil. Not only that, nitrogen and phosphorus can seep into the groundwater, which can be very bad for lawn, but can also adversely affect you, your family, employees, and even pets. While the typical time to get septic pumping is three to five years, when a plumber comes out for septic maintenance, they can decide whether your septic system needs to be pumped. Contact our team today to get septic pumping in Mills River, Hendersonville, and Asheville, NC for your home or business today. Keep your property safe, as well as the people you care about with this important service. If you don’t remember the last time that you had your septic system pumped or you think it might need pumping but aren’t sure, there are a couple of signs that you should look out for. Knowing what to look for can save you a lot of money and trouble down the road. Unpleasant Odors: When your septic system hasn’t been pumped in a while, you will start to smell something really unpleasant from the septic tank, drains, toilets or the drain field of your septic system. This not only causes your property to smell bad, but it isn’t great for your health either. Standing Water: If there is standing water by the septic tank or the drain field, then you need to get your septic system pumped right away. Slow Draining and Flushing: Have you noticed that your drains are slow moving or that your toilet is flushing very slowly? Then that might indicate that the septic system needs to be pumped. There could be clogs in the drains, but if they have been removed and you are still dealing with slow draining and flushing, then another culprit could be your septic system. Sewage Backup: This is one of the worst things that can happen in your home or business, but it a real possibility if you don’t get septic pumping. Raw sewage is not only messy, but it is extremely unsafe, so schedule septic system pumping every once in a while. Healthy Lawn: If part of your lawn by the drain field, then this is because the septic system is leaking and fertilizing the lawn. Make sure that you get quality septic pumping in Mills River, Hendersonville, and Asheville, NC by calling our plumbers today at 828-778-2423! Call Us for Septic Pumping Today! Keep your septic system in the very best condition by getting septic pumping service for your home or business. We have been in this business for a long time and have what it takes to provide thorough and professional septic pumping in Mills River, Hendersonville, and Asheville, NC. 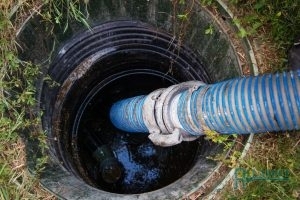 Not only do we offer pumping for your septic system, we also offer septic tank cleaning. If you would like to make an appointment for septic pumping or you want more information, contact our office at 828-778-2423 and one of our plumbers will be happy to answer any and all of your questions. Updated on January 22, 2019 at 12:29 pm by All About Plumbing.